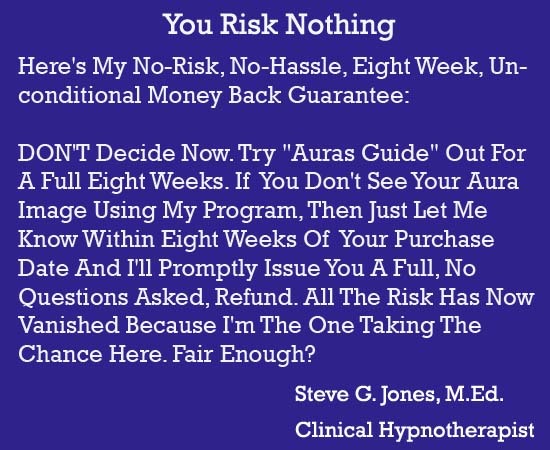 Instructor: Dr. Steve G. Jones, Clinical Hypnotherapist. A word from our friend and teacher, Dr. Steve G Jones….. In fact, as the old saying goes “If you’re not growing, you’re dying”. Phase One Aura Identification – Here I’ll show you all the steps to phase one which is learning to “see the light”. Aura Awareness – Once you’ve learned to bring the Auras into your field of vision, you’ll then learn how to become more aware of the energy fields around you. The Positive Power Of The Aura – Here you’ll discover how to use auras to eliminate pain and enhance healing. Aura Abundance – Learn how people all over the world are using auras to attract abundance into their lives. 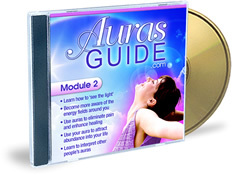 Aura Mastery – Now you can discover the exact formula that is essential to interpreting the meaning behind other people’s auras. 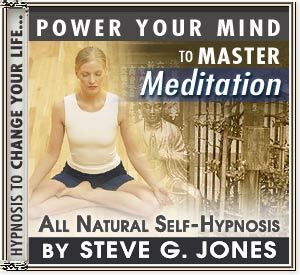 And, as an added bonus, I am also going to include my “Power Your Mind To Master Meditation” hypnosis recording. Your purchase of the products is governed by the terms and conditions contained in the End User License Agreement (‘EULA’). Please read this EULA carefully before completing your purchase. By completing your purchase, you agree that you have read the EULA and agree to be bound by its terms. If you do not agree to the terms of the EULA DO NOT complete your purchase. P.S. – Remember, you have nothing to lose and everything to gain because if you are not 100 percent satisfied with this program you can return it for a full refund. P.P.S. – Having the ability to read the Auras will equip you with an advantage in life that you have yet to experience and now you can learn to do it easily and effectively.